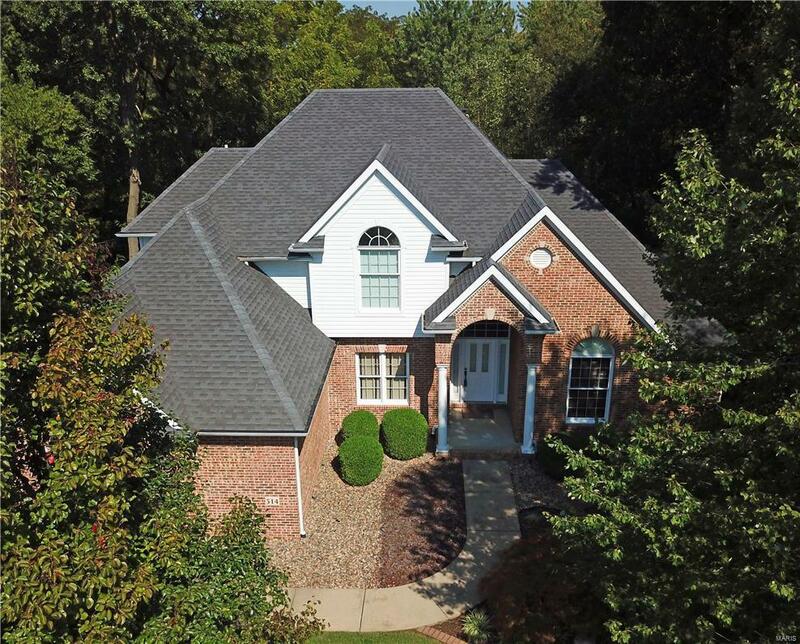 Custom built one owner beauty on private, 1.44 acre wooded culdesac setting. One and a half story with main level master suite with built in cabinetry. The master has access to the deck and offers a luxury bath with garden tub, separate shower, double vanity and commode closet. Well designed floor plan, 9 ft ceilings, zoned HVAC, surround sound, multi zone audio, whole house fan, irrigation system and security system. 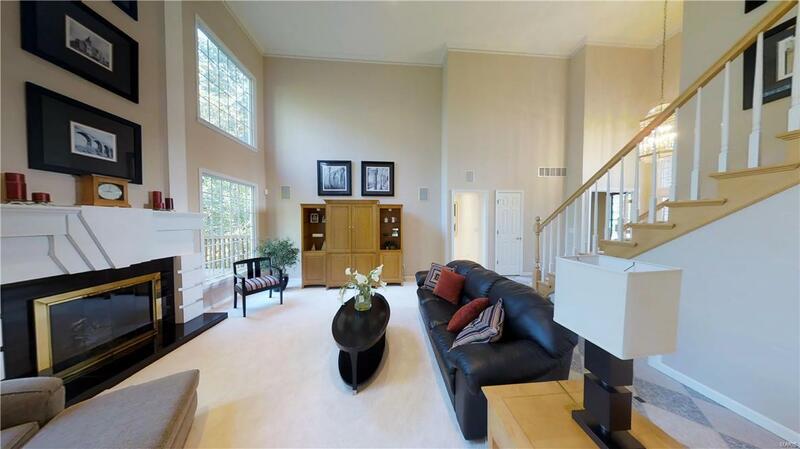 Gorgeous views of the wooded yard from all windows. 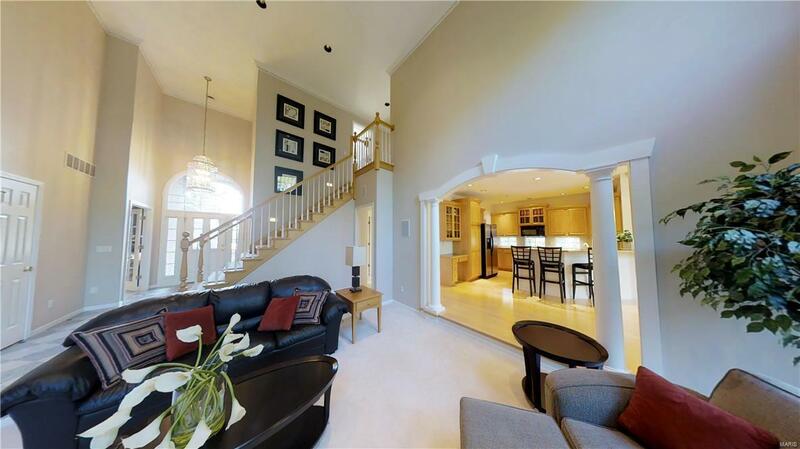 The sunken greatroom with 18 foot ceiling opens to the breakfast bay and kitchen areas. The equipped kitchen has stainless appliances, appliance garage, built in desk, pantry and uniquely designed windows beneath the cabinetry. Upstairs you'll find 3 additional bedrooms and a full bathroom accessible from 2 of the bedrooms and the hall. The unfinished walkout basement has plenty of room for future expansion and ample storage space. 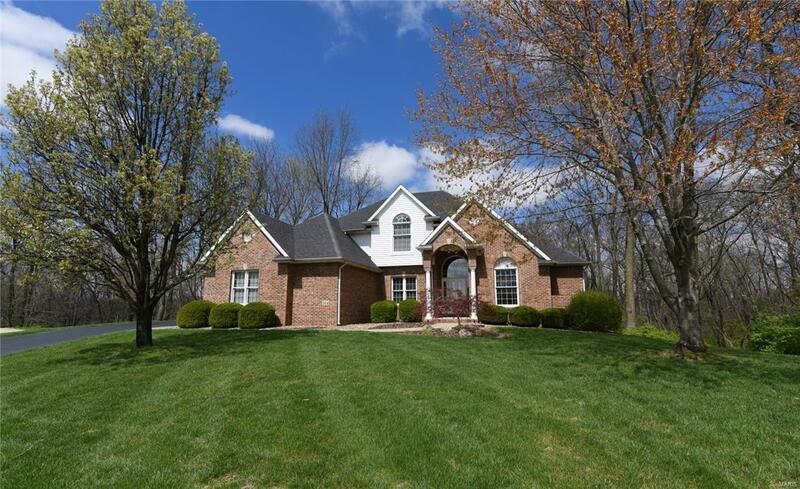 Great location near shopping, restaurants, entertainment and I-64 exits.